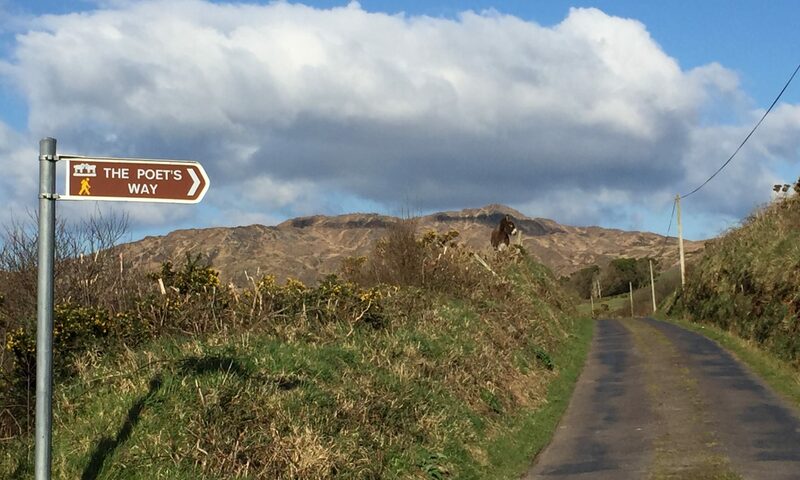 Right now, I am working from the Sheepshead Peninsula in the southwest of Ireland. I’ve come here to finish TIMBER CURTAIN, a book that is an artistic and cultural view on gentrification. Here in Ireland, I’m also investigating how place intersects with those who encounter it. In this land of bogs and moors, of sheep and peat, I come across old ruins and some new houses too. The concept of place, to me, is the “zing between temperament and terrain.” It’s that attachment we feel towards a patch of earth, an attachment created through our own projections and the interventions of natural sciences and history as well. 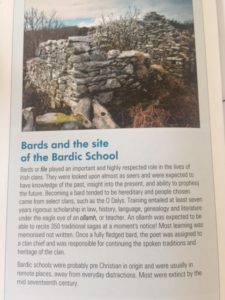 A lot of things interest me about this: the role of poets in a culture (still resonant in Ireland); the passing on, through heredity, the role of the bard; the role of bards in relation to the clan chief and the preservation of culture through language. Those were abstractions until I went to this place. I hiked out through a moor and came upon this shell of a bardic school. Imagine this being here before Christianity came to Ireland! It was probably, as my book claimed, “extinct by the mid seventeenth century.” Could I sense the bards before me in the shell of this old school? How did the remoteness of the place help to foster poems from these ancient poets?